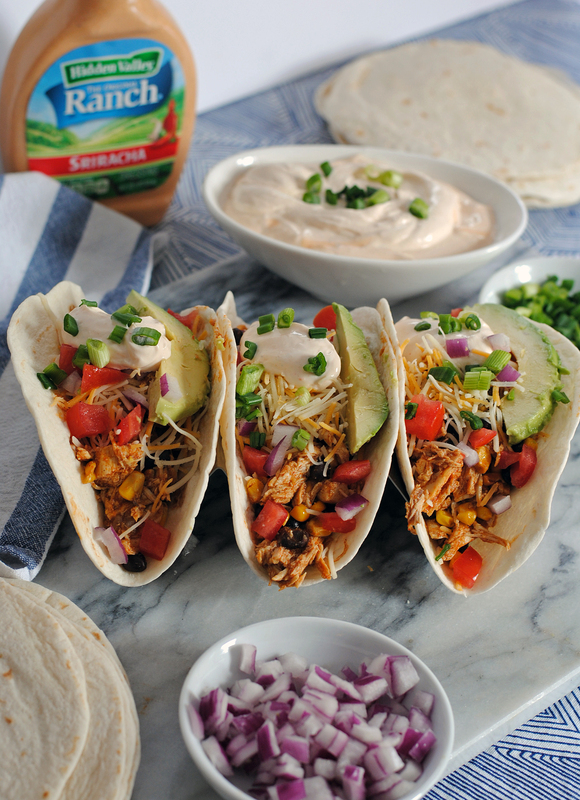 Hidden Valley Sriracha Ranch Chicken Tacos. 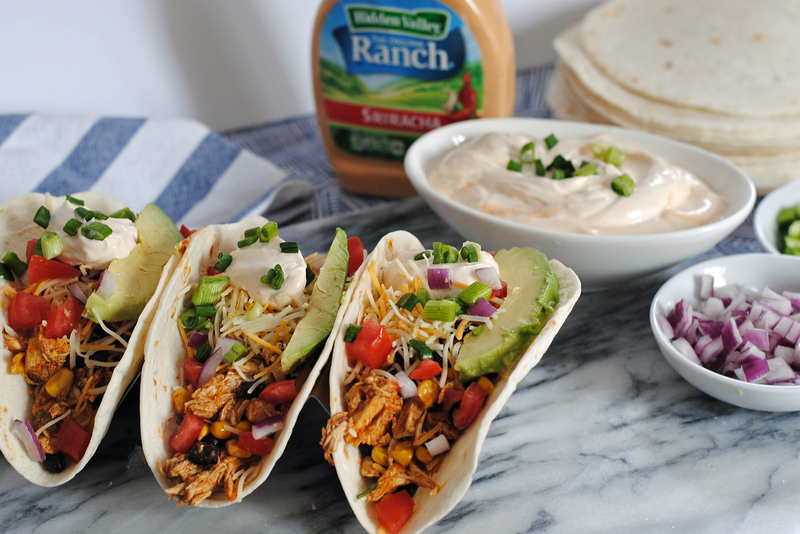 Hidden Valley Sriracha Ranch Tacos. In a large pot, add in chicken, butter, and water to just cover the contents. Bring to a boil and cook for 12-15 minutes until chicken is cooked through. Remove chicken from liquid, reserving ⅓ cup. Shred chicken and return to pot with reserved liquid and combine with taco seasoning; mix in corn and black beans. To make sriracha sour cream, combined equal parts sour cream and Hidden Valley sriracha ranch, refrigerate before using. 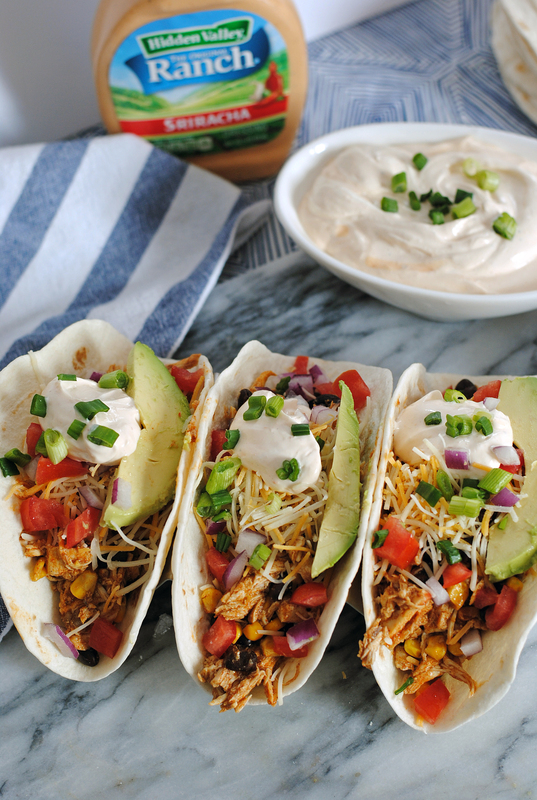 Assemble tacos in soft taco shells with chicken filling, top with sliced avocados, chopped red onion, tomato, scallions, cheese, and 1 tbsp of sriracha ranch sour cream. Please note: This post was sponsored in partnership with Hidden Valley and Family Circle, all opinions, images and recipes are my own (and yes, I ate that whole bowl of pub cheese). Iced Tea Lemonade Mint Julep. Modern Hostess: Pre-Party Cleaning Tips.